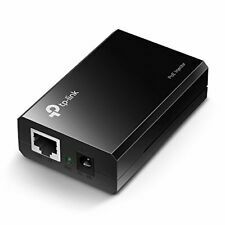 Then, take the second adapter and plug it in and connect it to any device, also using an Ethernet cable. Your powerline adapters should automatically detect and establish a strong AV600 connection. Two 5dBi antennas greatly increase the wireless robustness and stability. Easy Setup Assistant provides quick & hassle free installation. Backward compatible with 802.11b/g products. TP-LINK Live 24/7 Technical Support. Pics are mine of the product you will receive. Free Shipping & Returns! - #1 Customer Service! Wireless Technology 802.11a/B/G/N/AC. Connectivity Wired & Wireless. Port SPEED Gigabit. Depth 8.5in. Port Quantity 4-Port. Product Key Features. Form Factor External. Number of LAN Ports 4. 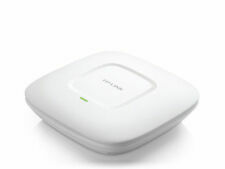 TP-LINK's RE210 features the next-generation WiFi standard, 802.11ac. Next-Generation WiFi with Universal Compatibility. 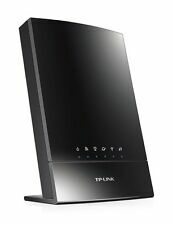 High Speed mode maximizes performance by combining the bandwidth of both the 5GHz and 2.4GHz channels to create a lightning-fast connection with one band sending data and the other receiving it. Lightning-Fast wired connections using four Gigabit Ethernet Ports. Faster Wi-Fi for every device with multi-user support from MU-MIMO technology. High-speed Wi-Fi during heavy traffic usage with a 1.4GHz dual-core processor. Range Extender. with High Speed Mode. NEVER OPENED! NEVER USED! Trending at $71.48eBay determines this price through a machine learned model of the product's sale prices within the last 90 days. It also features advanced wireless encryption and easy installation. With its miniature size and sleek design, users can connect the nano adapter to any USB port and leave it there. Reception Sensitivity. The Archer C8 also features an 800MHz dual-core CPU function for ultra-fast, stable, and responsive performance with Wi-Fi, Ethernet, and USB devices. The USB 3.0 port is up to 10x faster than USB 2.0 ports. 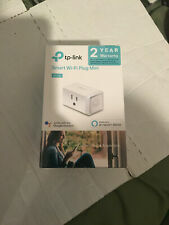 TP-Link RE200 AC750 Amped Wireless WiFi Range Extender Repeater Booster NEW! CAT 5/manual/other accessories are not included.what you see is what you get. 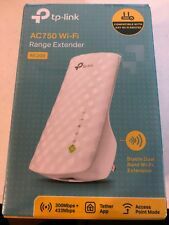 TP-Link Archer A7 AC1750 Wireless Dual Band Gigabit WiFi Router 3 Antenna (NEW). Condition is Used. Shipped with USPS Priority Mail. Item has been password reset to factory defaults. Power Adapter included (may not be original but still works). Network cable is NOT included. 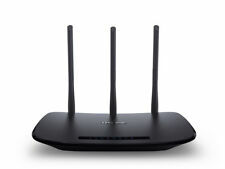 TP-LINK Archer C9 V1 Wireless AC1900 Dual Band Gigabit Router *FREE SHIPPING*. Condition is Used. Shipped with USPS Priority Mail. 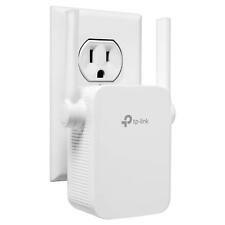 TP-Link RE380D AC1200 Dual Band Wi-Fi Range Extender w/ 5 Gigabit Ethernet Ports. Condition is New. Shipped with USPS Priority Mail. Wireless SPEED. Port SPEED. Wireless AC. 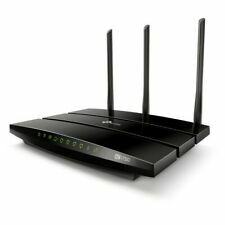 Wireless-Wi-Fi 802.11n, Wireless-Wi-Fi 802.11b, Wired-Ethernet (RJ-45), Wireless-Wi-Fi 802.11a, Wireless-Wi-Fi 802.11g, Wireless-Wi-Fi 802.11ac. Wireless Technology. Smart Signal Indicator can help to find the best location for optimal Wi-Fi coverage, compatible with 802. 11 b/g/n and 802. 11AC Wi-Fi devices. 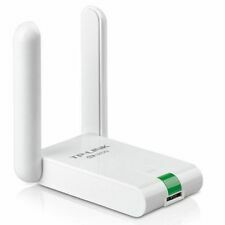 TP-LINK AC1750 Wireless Dual Band Gigabit ADSL2 Modem Router. Shipped with USPS Priority Mail. 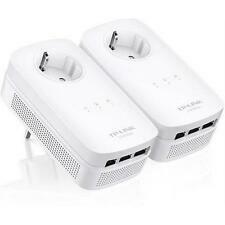 TP-Link N300 TL-WA850RE Wi-Fi Range Extender. 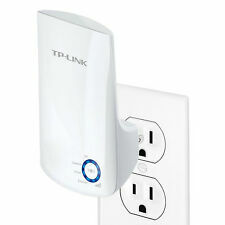 Extend the reach of a wireless signal with the TL-WA850RE Extender by TP-LINK. Use it to strengthen signals in hard-to-reach rooms, for an extension or to simply extend the wireless signal across a large interior space. TL-WR841N’s exceptional and advanced wireless performance make it ideal for streaming HD video, making VoIP and online gaming. Reception Sensitivity. Enable/Disable Wireless Radio, WDS Bridge, WMM, Wireless Statistics. The downloadable Google On app simplifies setup. Wireless SPEED. Port SPEED. Wireless AC. Wireless Technology. Wired-Ethernet (RJ-45), Wireless-Wi-Fi 802.11ac. Product Key Features. Wired & Wireless. 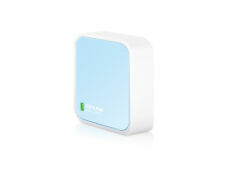 TP-Link TL-WR802N N300 Wireless WiFi Portable Nano Travel Router 5 in 1. New, open box. Shipped with USPS Priority Mail. TP-Link Archer C7 1300 Mbps 4-Port Gigabit Wireless AC Router (Archer-C7). Works great! We went to a mesh network because of our basement. The id and password will be in the box. Has not been factory reset. I will ship upon confirmation of payment. Continental u.s. only. 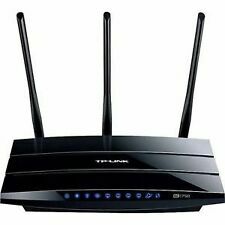 TP-LINK Archer C3200 1000 Mbps 4 Ports 1000 Mbps Wireless Router (ARCHERC3200) -. Condition is Used. Shipped with USPS Priority Mail Medium Flat Rate Box. Adjust your Wi-Fi settings using the intuitive touchscreen of the RE590T Dual Band Wi-Fi Range Extender. Easy-to-understand icons help you find every setting you need. You can even access your settings when you’re away from your RE590T using the TP-LINK Tether App on your smartphone or tablet. Used but works great! Tested and all functions work.